Save money and energy at home. Learn ways to save energy and use clean, renewable technologies at home, while driving, and at work. Includes current and historic data on primary energy consumption, petroleum consumption, consumption by sector, residential use, commercial use, industrial use, transportation use, electric utility use, prices, expenditures, and state rankings of consumption, prices, and expenditures. Each selection presents the user with summary level information. More detailed information is available from pull-down menus. "A comprehensive source of information on state, local, utility, and selected federal incentives that promote renewable energy; this is the link for New Jersey. Please note that there are no longer incentives for solar installations. Sustainable biopower technologies are eligible for incentives through a competitive solicitation administered by New Jersey's Clean Energy Program. These biopower technologies use a renewable supply of organic material (biomass) to produce electricity, thus reducing our dependence on fossil fuels while eliminating part of the waste stream. The Fiscal Year 2015 Sustainable Biopower Incentive is open from March 19-April 18, 2015. The power scorecard assesses the environmental impact of different types of electricity generation. It was developed with the technical support of the Pace Law School Energy Project to help citizens rate electricity sources by entering state and energy preferences. Renewable energy resources are naturally replenished in a relatively short period of time. They include biomass, hydropower, geothermal energy, wind energy, and solar energy. In 2005, about 6% of all energy consumed, and about 9% of total electricity production was from renewable energy sources. Alternative transportation fuels are fuels used for transportation other than gasoline or diesel. Some alternative transportation fuels, such as ethanol and biodiesel, are renewable while others, such as propane and natural gas, are non-renewable. The Sustainable Energy Coalition (SEC) brings together more than 20 national and state-level business, environmental, consumer, and energy policy organizations. The Coalition promotes increased federal support for RENEWABLE ENERGY and ENERGY EFFICIENCY technologies and reduced federal support for unsafe or polluting energy resources. The Office of Energy Efficiency and Renewable Energy (EERE) invests in clean energy technologies that strengthen the economy, protect the environment, and reduce dependence on foreign oil. Are you looking for creative ways to lower your energy costs, generate more of your own power, or become less reliant on the grid? Paul Scheckel offers practical advice on these topics and more. . Explaining the fundamentals of solar, wind, water, and biofuel energy production, Scheckel shows you how to build and maintain a wide variety of energy-saving and energy-producing equipment, ranging from thermosiphon solar hot water collectors to bicycle-powered generators. Withe the help of this book, you can use less energy, save money, and help preserve the environment. The Renewable Energy Home Handbook is biased towards the practical, and covers the installation of all leading types of alternative domestic energy sources - from ground- and air-source heat pumps, PV solar electricity generation and solar water heating, to bio-mass domestic heating systems and wind turbines. Discussing the pros and cons of each technology, it also provides you with a clear overview of what's genuinely required and the benefits to be gained from each system. 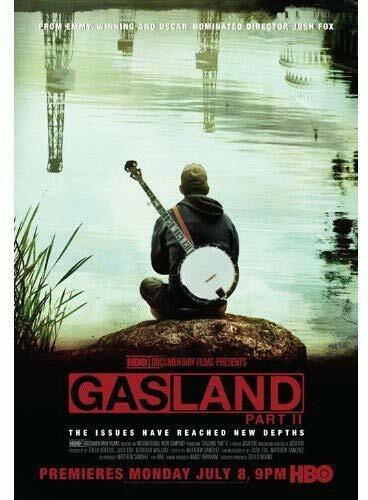 GASLAND PART II is a provocative follow-up to filmmaker Josh Fox s award-winning feature debut GasLand. The new film continues to explore the controversial method of extracting natural gas and oil known as hydraulic fracturing, or fracking, arguing how dangerous the process is, and how pervasive the gas industry s influence on public policy has become. Tempered by Fox s trademark dark humor, the film shows how the stakes have been raised on all sides in one of the most divisive environmental issues facing our nation today. GASLAND PART II pierces prevailing myths by arguing how and why fracked wells leak over time, contaminating our water and air, hurting families and endangering the Earth s climate with methane, a powerful greenhouse gas. It also sheds light on the global consequences of fracking, as more and more countries are following the U.S. s lead in drilling for gas. "This fascinating saga is the definitive book on the most important of global issues, the quest for sustainable sources of energy. Dan Yergin, the prominent energy expert of our times, weaves together security and environmental concerns to explain the system we have today and to analyze the sensible paths forward. This is one book you must read to understand the future of our economy and our way of life."